You probably know the cliché, "You are what you eat." While it may not be a phrase you can take literally, there's actually a lot of truth behind it. In reality, the food we choose to consume impacts how our body functions. By choosing the right foods, you may be able to balance your hormones naturally. 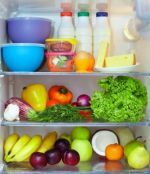 If you are looking into adopting a diet that allows you to naturally balance your hormones, here are a few foods to consider. Clean protein provides more than the energy and sustenance you need. According to mindbodygreen.com, foods rich in "clean protein" (protein that is mostly free of antibiotics, heavy metals and pesticides) can balance your hormones and freshen your skin. Consider swapping your normal grain of choice for quinoa, which benefits your body in more ways than one. Quinoa is a better alternative than other grains, such as white rice, because it is a complex carbohydrate that will not raise blood sugar in the same way as simple carbohydrates do. When a simple carbohydrate causes an insulin spike, the androgen hormone also increases, which can lead to further hormonal imbalance throughout the body. Eating quinoa several times a week can help you feel balanced and beautiful. For years, everyone has been telling us to avoid foods high in fats — but there are fats that are good for you. Foods high in healthy fats can provide you with essential vitamins and nutrients, and may even help you naturally balance your hormones. These fats have the power to allow you to better absorb nutrients and to produce beneficial hormones for your body. Avocados, for example, help the body regulate cholesterol levels, according to Prevention Magazine. When a person has healthy, normal cholesterol levels, the body naturally regulates its hormone production. Avocado also is filled with folic acid, which is pivotal to balancing hormones. should consider include coconut oil, egg yolks, salmon and olives, all of which contain properties that will help your body produce balanced hormone levels. Sometimes, in order to reap the benefits of your meal, you need to spice it up. Add healing properties to your food by using herbs and spices that are designed to naturally heal the body. Certain herbs and spices can help improve your fertility, while others might provide you with a boost to your immune system. As you strive to perfect your hormone-balancing diet, you might want to consider adding some valuable herbs and spices to your meal. Flavorful choices include cinnamon, cayenne pepper, garlic, ginger and cumin. Antioxidants are like a miracle nutrient for your body. They provide you with so many benefits, it's important to maintain antioxidant-rich foods as part of your diet — regardless of whether or not you need to balance your hormones. However, they are particularly beneficial if you feel like you need to regulate your hormone production. When it comes to searching for foods with antioxidants, look for colorful produce such as bell peppers, blueberries, carrots and tomatoes. Dark-green vegetables also are beneficial for regulating hormones. Broccoli, for example, can help your body better absorb estrogen. By increasing your estrogen levels, you can improve your mood, fertility and skin. Kale and asparagus also are good sources of antioxidants, and would be a valuable addition to your diet. A few dietary and lifestyle changes can have a remarkable impact on your overall health, and can even help you naturally balance your hormones. Balanced hormones mean that it's easier to maintain a healthy weight, have a positive outlook, and generally feel well. Try these super foods today in order to see if they’re the right choice for balancing your hormones. Author bio: Emergency Medical Physician at Progressive Health And Rejuvenation, Dr. K. Grant Mansell is a physician and surgeon licensed in Florida, Missouri and New Mexico.